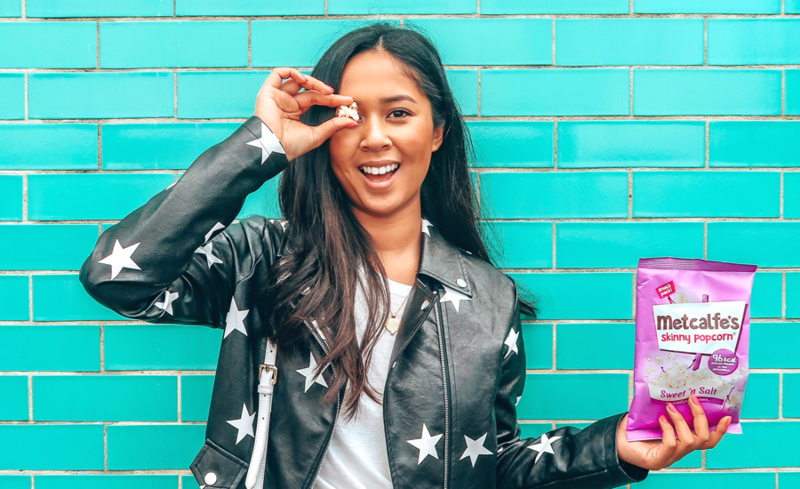 Have you ever noticed some Influencer Posts in your campaign performing above the influencer's average audience engagement? Don't let them go to waste. 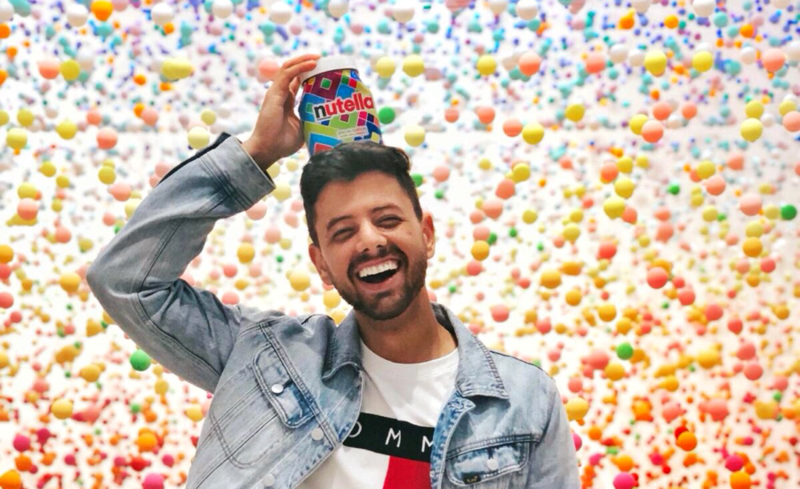 With TRIBE Content Licensing, you can purchase your highest performing posts from your influencer campaign to use on your paid and owned marketing channels, including your socials, print, website, EDMs, merchandise or out of home advertising! We've made licensing your top performing content as simple as three steps. 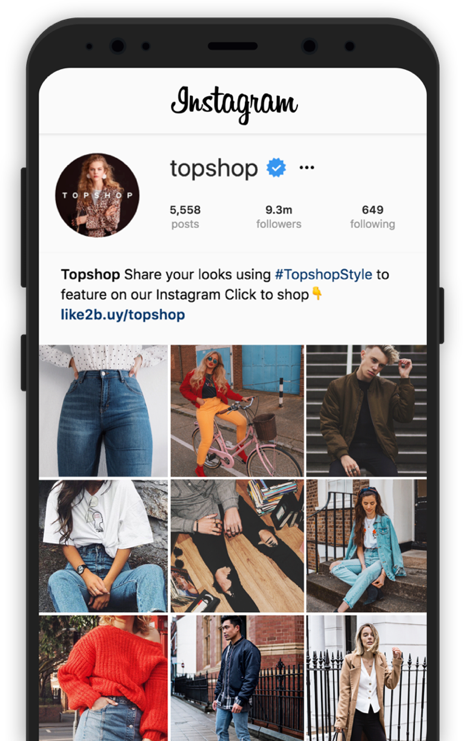 Keep reading to see how global brands are tapping into TRIBE creator content to super-charge their UGC strategies. In the approved or published section of your campaign inbox and request the rights, find your favourite images by clicking the 'request content rights icon'. Within 24 hours, you'll hear from your Account Manager to confirm the pricing. 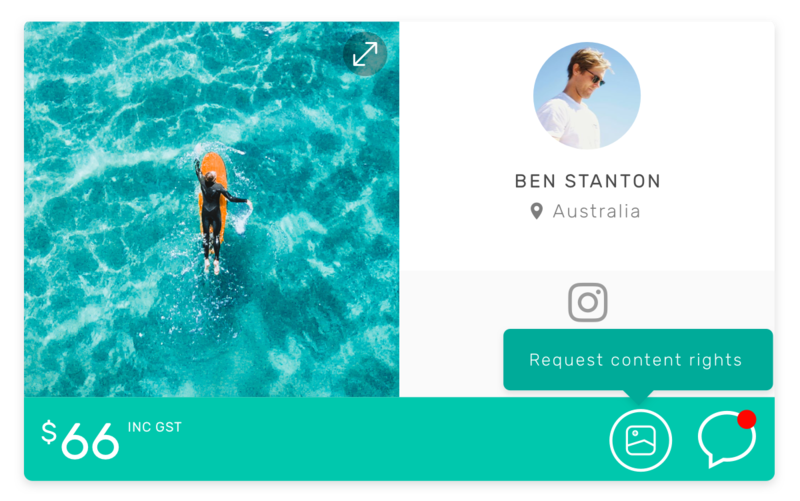 The creator will be notified of your request and have the option to accept the license from the TRIBE app. Once agreed to by both the influencer and the brand, the licensing cost will be charged to your credit card, or added to your invoice and we'll send through the highest quality image. The rights are now all yours! See below for some inspiring ways to super-charge your UGC. User-generated content drives 6.9X higher engagement than brand-generated content. Supercharge your socials by posting content from your very own customers! Who better to create ads consumers love, than the consumers themselves? 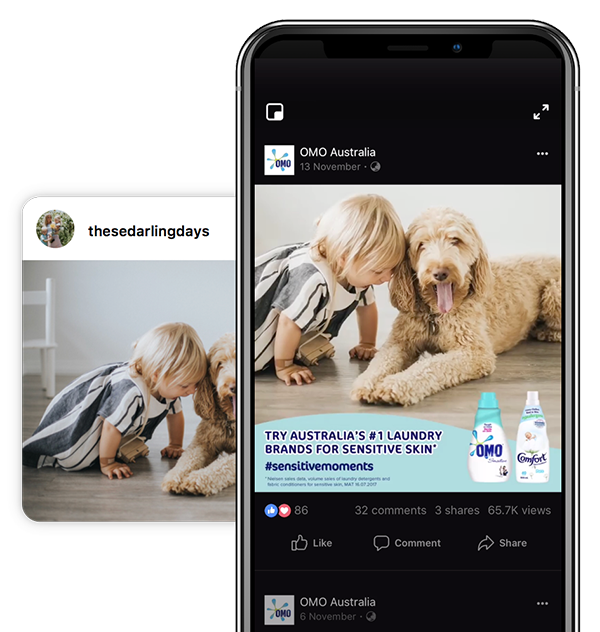 Unilever’s OMO transformed content from their Sensitive Moments campaign into a dynamic set of Facebook ads. 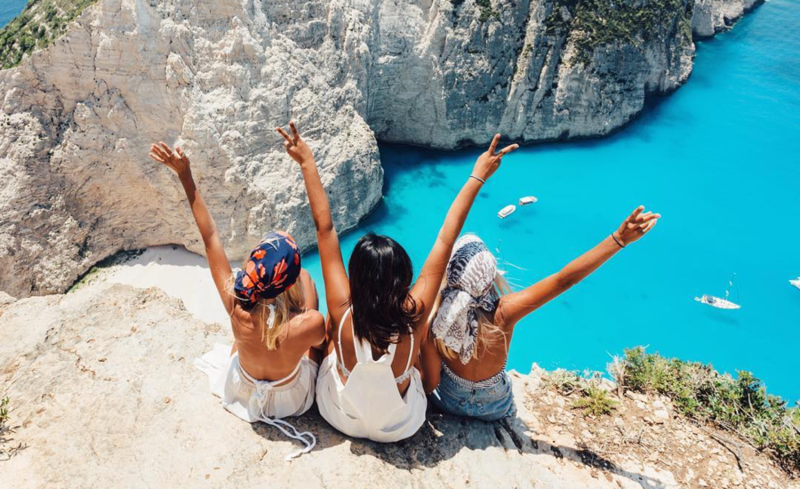 By utilising the power of user-generated content instead of hiring a creative agency, photographer, models and jetting overseas, you could get hundreds of great shots for the price of one! 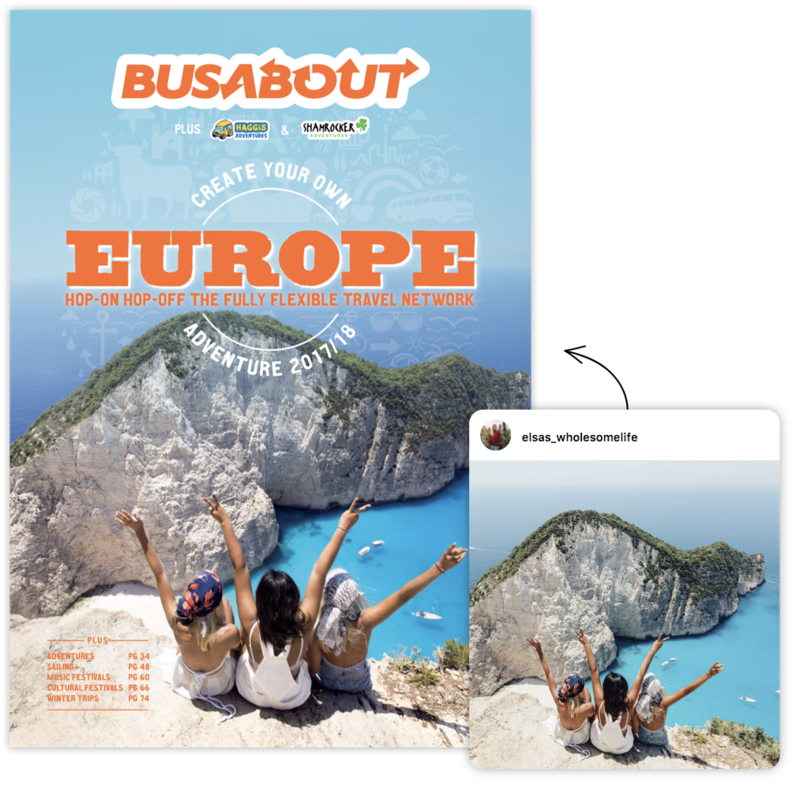 Naturally, BusAbout took the faster, cheaper and more authentic option. If you’re wanting to revamp or refresh your brand’s online presence, why not get the creative experts to do it for you? 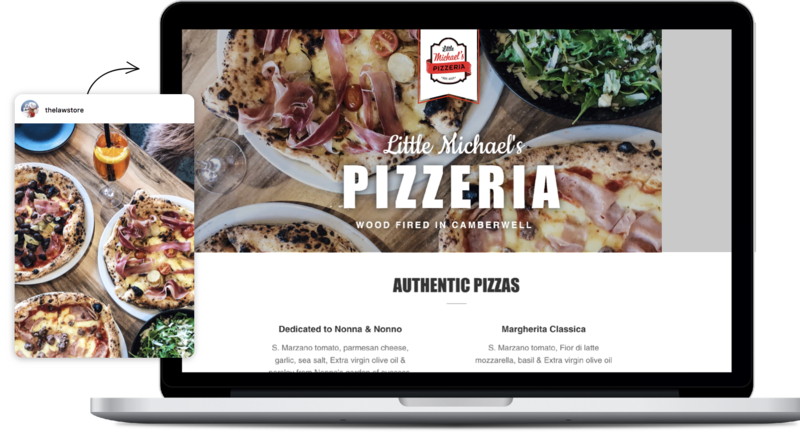 As part of a brand facelift and relaunch, Melbourne favourite Little Michael’s Pizzeria harnessed the superpowers of local creators to celebrate their signature pizza menu! Why pay for an expensive product shoot, when your customers are already out there doing it for you? All you gotta do is find them! 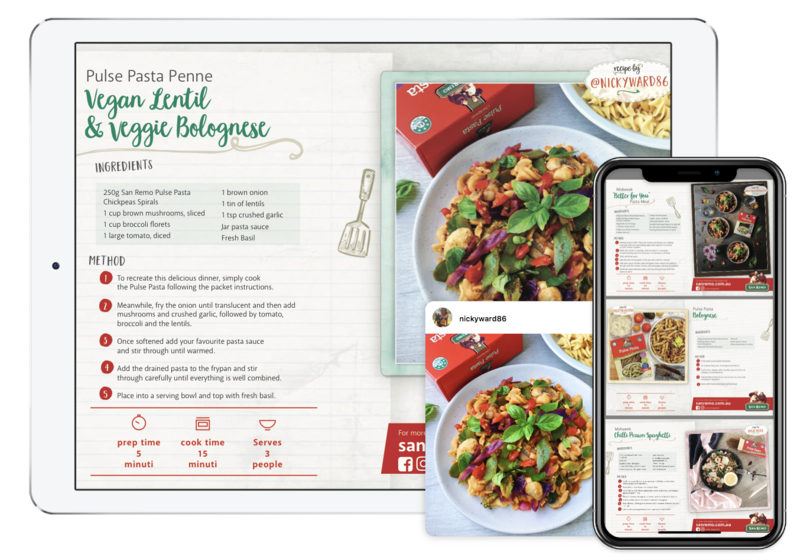 San Remo loved their creator content so much, they requested that the mouth-watering snaps appear alongside recipes in their downloadable cookbook! 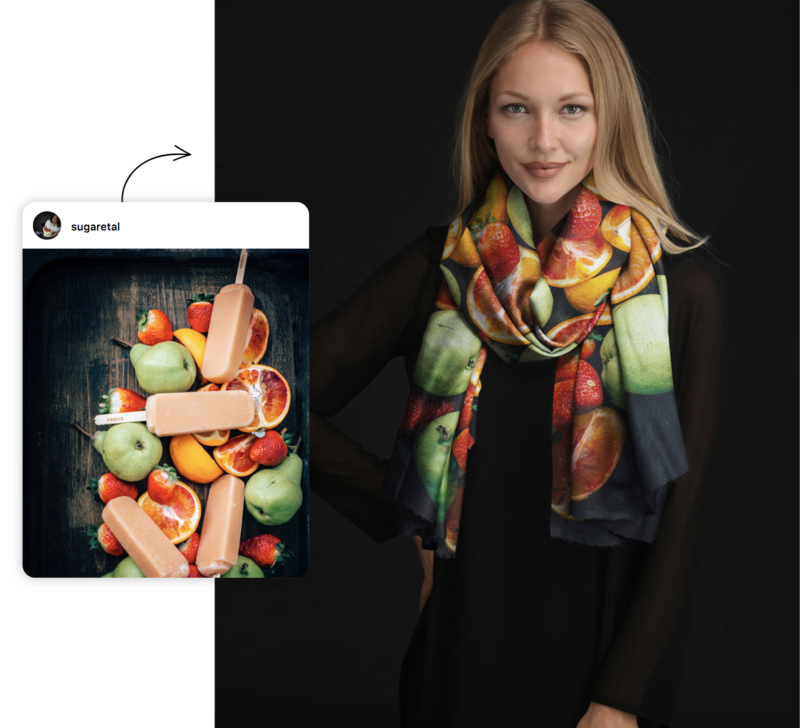 Thanks to a combination of phone-camera technology and our creators' phenomenal talent, the images brands receive are such high quality that they can be printed on pretty much anything! Case in point: from dinner table... to fashion statement. Just because you procure the content online, doesn’t mean it has to stay there! 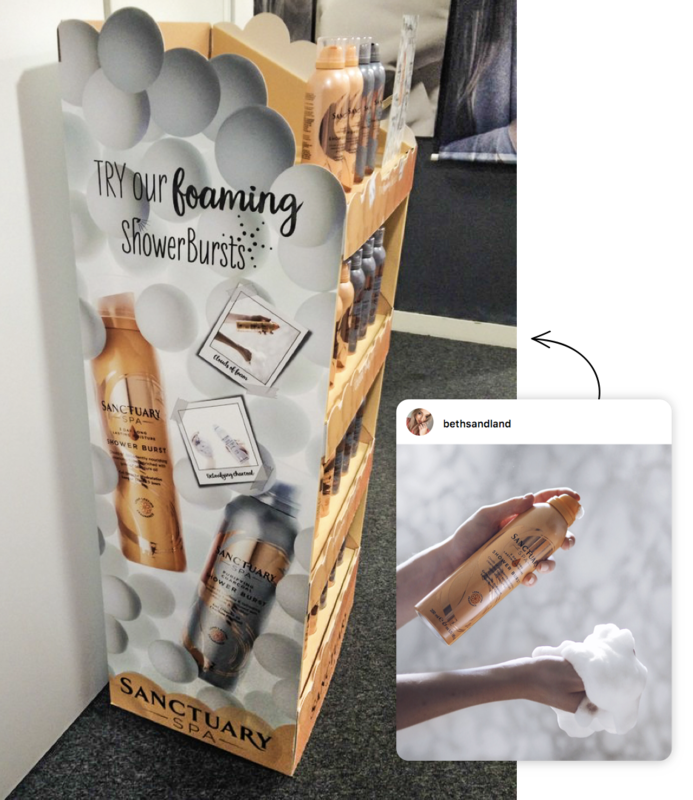 Sanctuary Spa created in-store product displays featuring content from their Shower Burst campaign. Think BIG! OMD Create and Bacardi purchased 70 pieces of stunning creator content, 27 of which were placed in digital billboards close to participating bars and restaurants around Australia. 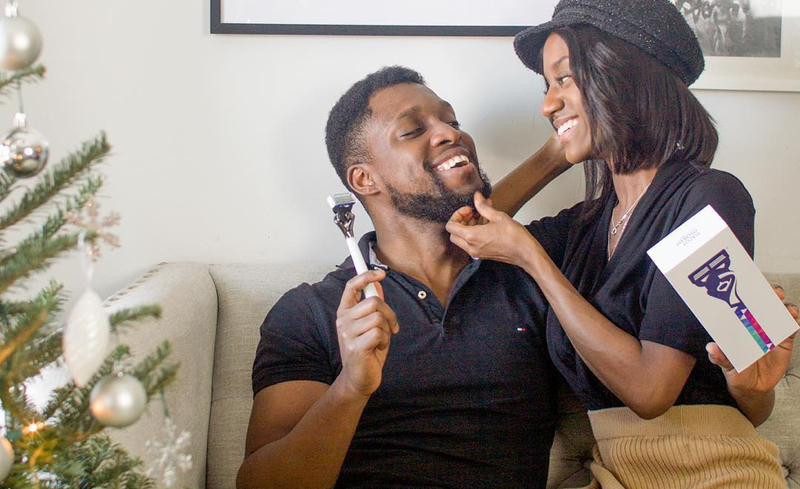 The results of the influencer and content campaign speak loudly enough. For their budget, Bacardi achieved a collective reach of 1.6M, 58K engagement and an impressive CPE (cost per engagement) of AUD$0.27. Still got questions? Check out our Content Licensing FAQs.